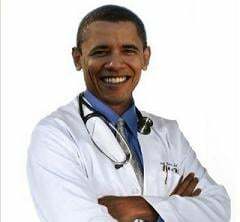 Remember all those allegations that Obamacare would be an unmitigated disaster for businesses, especially smaller companies? Well, now we have proof. 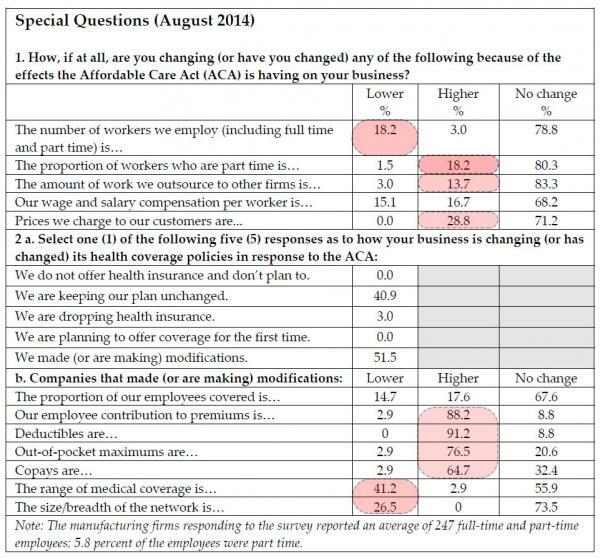 What the survey found was very disturbing: not only did businesses report that as a result of Obamacare the number of workers they employ is lower than higher (18.2% vs 3.0%), that there has been an increase in part time jobs (18.2% higher vs 1.5% lower), leading to a big increase in outsourcing and most importantly, Obamacare costs are being largely passed on to customers (28.8% reporting higher vs 0.0% lower), the punchline was that while there is basically no change in the number of employees covered (17.6% higher vs 14.7% lower and 67.6% unchanged), there has been a big jump in Premiums, Deductibles, Out-of-pocket maximums, and Copays, which has been “matched” by a far greater reduction in the range of medical coverage and the size of the network. And what’s worse, this sentiment will persist long after the current subprime auto loan-driven manufacturing renaissance is long forgotten.